Dr. Alam Frame comments on new studies that show avoiding treatment due to dental anxiety can lead to tooth decay, tooth loss, and a poorer quality of life. Dental anxiety affects millions of people of all ages, and it can threaten not just dental health, but also emotional and psychological well-being. Dr. Alan Frame comments on a recent British study that underscores the far-reaching consequences that dental anxiety can have on a person’s health. The study, which was outlined in MedicalXpress.com, included nearly 11,000 participants, 1,400 of whom experienced severe dental phobias. The responses, which were drawn from the 2009 Adult Dental Health Survey, revealed that participants who had dental phobias or anxiety were more likely to have at least one decaying or missing tooth. They were also more likely to have a poorer quality of life. Dental problems such as cavities, abscesses, and gum disease are not necessarily life-threatening, but they can affect a person’s ability to eat, speak, and engage socially, which can greatly reduce their quality of life. Dr. Frame also offers comprehensive dental care for patients of all ages. This includes dental fillings, ceramic veneers, tooth whitening, preventive dental care, pediatric dentistry, Invisalign, dental extractions, endodontic therapy, and periodontal treatments. 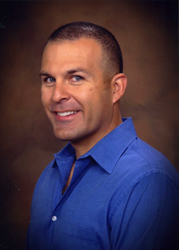 Dr. Frame graduated with the highest honors from the University of the Pacific School of Dentistry in 1996 and completed his general practice residency at UCLA. He is a member of the dental fraternities Omicron Kappa Upsilon and Tao Kappa Omega, as well as the American Dental Association. A community dentist, he welcomes new patients to his practice and accepts most forms of dental insurance.